Nobody does a pregame ceremony better than the Red Sox. Since the current ownership group took over the Red Sox in 2002, the team has been masterful at drawing tears and offering some inspiration before the first pitch at Fenway Park. Perhaps the best was at this year’s home opener when the Red Sox honored the courageous and inspirational Pete Frates. Before that tear-jerking moment, my favorite pregame ceremony was the 2008 home opener when Bill Buckner returned to throw out the first pitch. Or maybe it was David Ortiz breaking FCC rules in the first home game after the marathon bombing. It’s hard to say what the players think about those ceremonies, but it seems like every time the Red Sox pull off a perfect ceremony like that good things happen in the game. Maybe it’s a coincidence, but I like to think it is karma. Seriously, there was no way the Red Sox were going to lose April 13 when each member of the team slowly walked to Frates’ wheelchair and each presented the creator of the Ice Bucket Challenge — and a man who represents hope for ALS patients and their families around the world — a red jersey with the No. 3 and the name “Frates” on the back. Mookie Betts robbed a home run and then stole second and third on one play to start the game as the Red Sox jumped out to an 8-0 lead in a 9-4 win over the Washington Nationals. The team might have won had Frates not been there before the game. There’s no way, however, you can convince me that he didn’t inspire the team to do great things that day. The same goes for when Buckner made that great appearance on April 8, 2008. The Red Sox snapped a three game losing streak and beat Detroit 4-0 that day. So with that in mind, I have a suggestion for the ceremonial first pitch before the Red Sox take on the Orioles June 25 at Fenway Park. Have John Leeming of Reno, Nevada, throw out the first pitch. Exclaimer: John is my cousin. He isn’t showing the world how to bravely fight ALS, and he isn’t a symbol of reconciliation of the ills of Red Sox Nation past. In my eyes, though, he is definitely a hero. 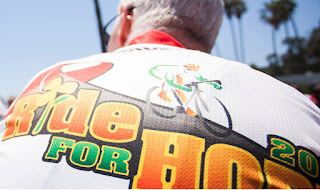 John is one of 16 riders taking part in the 2015 Ride for Hope Coast to Coast. They leave Sunday in a bike ride from San Francisco to Boston to raise money for advocacy efforts regarding children orphaned as a result of the AIDS epidemic in Africa. Sub-Saharan Africa remains the region most affected by the AIDS epidemic, with 68 percent of the people living there infected with HIV. John and his fellow riders can’t live with those numbers, and they are putting their bikes to work to fight them. The group of United States and international riders will roll into the Hub on June 24, and they plan to be in Fenway for the matinee game with the O’s on June 25. Not only do these brave riders deserve some recognition from the Fenway crowd, the Red Sox — or any other team — could benefit from a few minutes of exposure to such amazing people. To get to that game, whey will ride their bikes 3,000 miles over several mountain passes, over the Continental Divide and through all kinds of weather, probably even snow. And to think, we can’t get the speedy Betts to try to journey 90 feet to second base against a closer with the team trailing by one run in the ninth. John and his teammates are riding for children who live every day without an education. They are riding for children who continually endure difficulty, pain and hunger. They are riding for children who cannot possibly help themselves. Now is the time for the Red Sox and Red Sox Nation to join them in this ride. Click hereto donate to John’s ride. You can donate under his name or under the name of one of the other riders. Any amount will count. Even a donation of $5 will add up. Of course, bigger donations add up faster. Earlier this year, the Red Sox unveiled a free bike valet service for any ticketholders who commute to Fenway Park. Well, nobody is commuting farther or better than these guys. How cool would it be if their final few pumps of the pedal came in a victory lap around the warning track of Fenway Park? Then they could all throw out the first pitch to some Red Sox players. For a half inning John and some of his teammates could talk with Jerry Remy and Don Orsillo during the NESN telecast. They can talk with Joe Castiglione and Dave O’Brien on WEEI during another half. They could get the word out to help support the cause. OK, so it might not be Buckner returning to make amends with the fans who once cheered him and then tormented him. It might not be the great Pete Frates making us all cry and dream of better days. 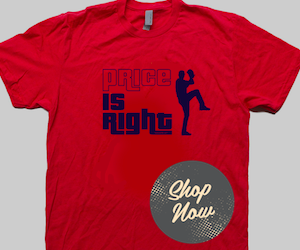 But it will be a chance for the Red Sox to do something terrific for a tremendous cause. It could be a chance to change at least one life for the better. It could be something simple that would ensure that the 2015 Ride for Hope is the best one yet. 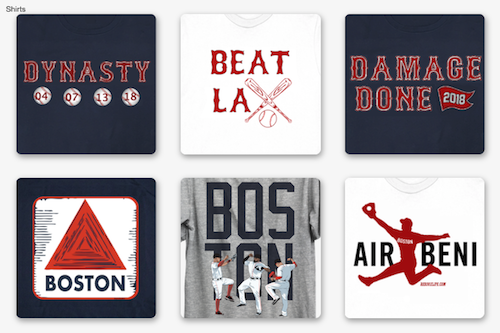 Plus, have you seen the 2015 Red Sox play this year? As Ray Kinsella said as he pulled over to pick up a young hitchhiking Moonlight Graham, they need all the karma they can get right now.